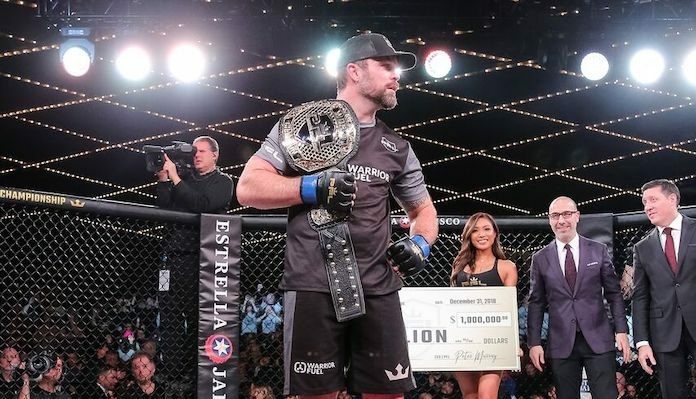 On New Years Eve, Sean O’Connell thumped Vinny Magalhaes to a corner stoppage, winning the Professional Fighters League (PFL) light heavyweight belt and a $1,000,000 prize in the process. In the moments after this life-changing win, the ever-entertaining veteran announced his retirement from MMA competition. At the end of his incredible fighting career, which unfurled in the UFC and PFL cages and carried him all over the world, Sean O’Connell has plenty of advice for the next generation of fighters. He shared that advice in a recent interview with BJPenn.com. Sean O’Connell also advised all fighters to consider moving to the PFL — an organization he says has changed his life. “They absolutely have changed my life, and the opportunities are going to continue to change my life,” he added. “They’ve done great things for all of us, and not just the champions. They paid very well, they paid everyone who made it to the quarter finals, they paid them all very well.